My goodness, spring is just right around the corner. It’s been 70 degrees a few days here and totally tricked me into thinking it had already arrived. 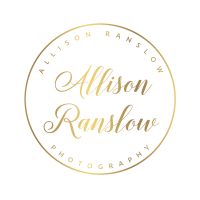 With spring, comes the start of wedding season- which I’m so very excited about. 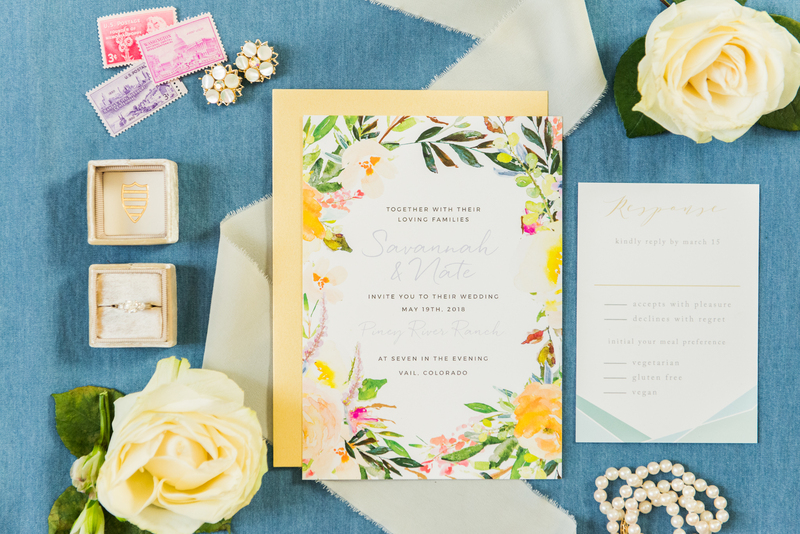 These days and months leading up to the wedding are filled with planning alllllll the details from big to small- the ones that will make your day everything you’ve ever dreamed of. One of the hardest things I’ve found about wedding planning is that there are SOO many decisions. 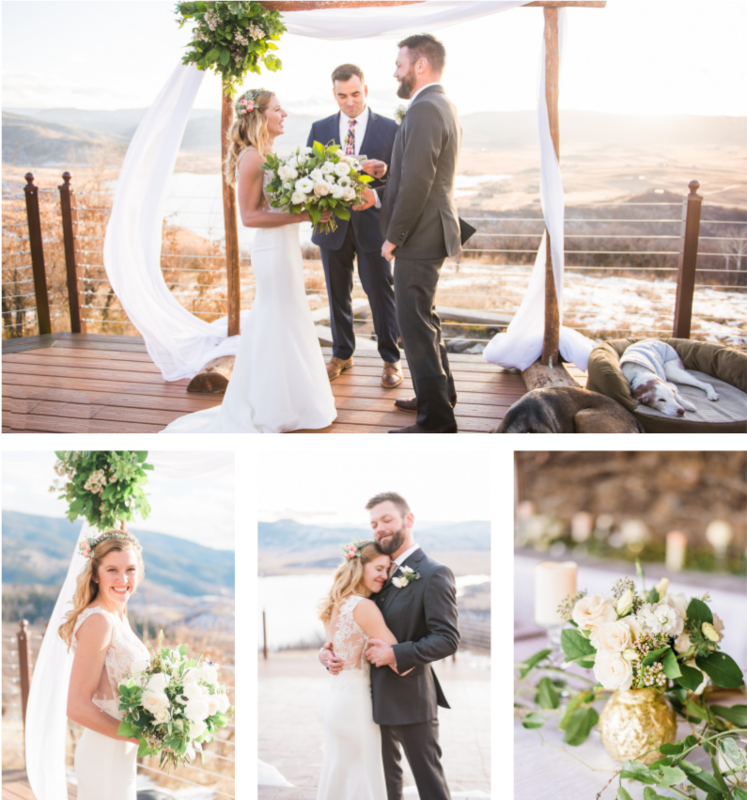 From food choices and first dance songs, and bouquet colors to theme details, it can all be so overwhelming and I’m sure you can relate. Moving to Colorado Springs from Rochester, NY, I expected lots of snow, but NOPE. Not here, and definitely not this year. 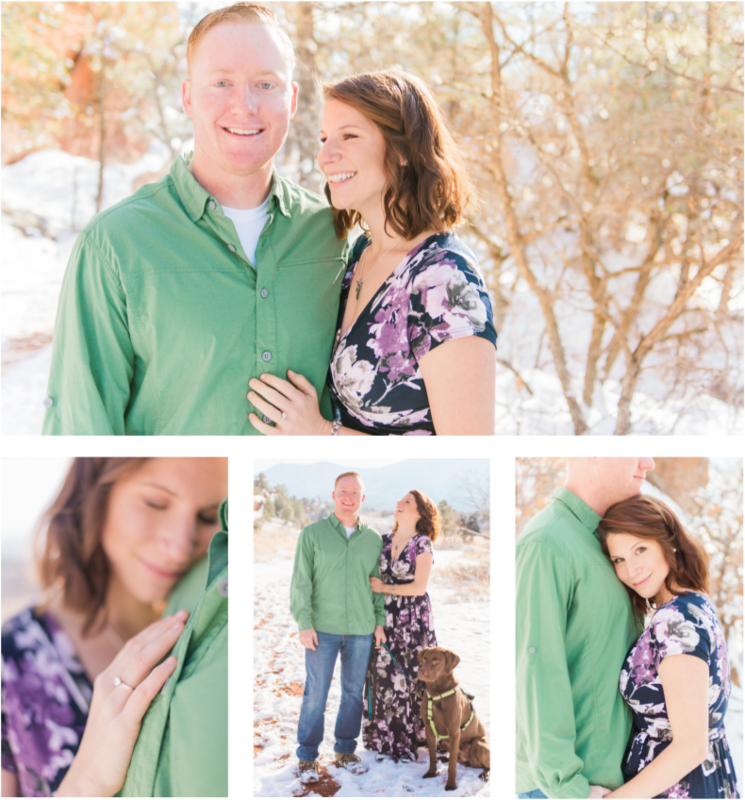 So when it snows, you absolutely must take advantage of it with a Red Rock Canyon Open Space engagement session. 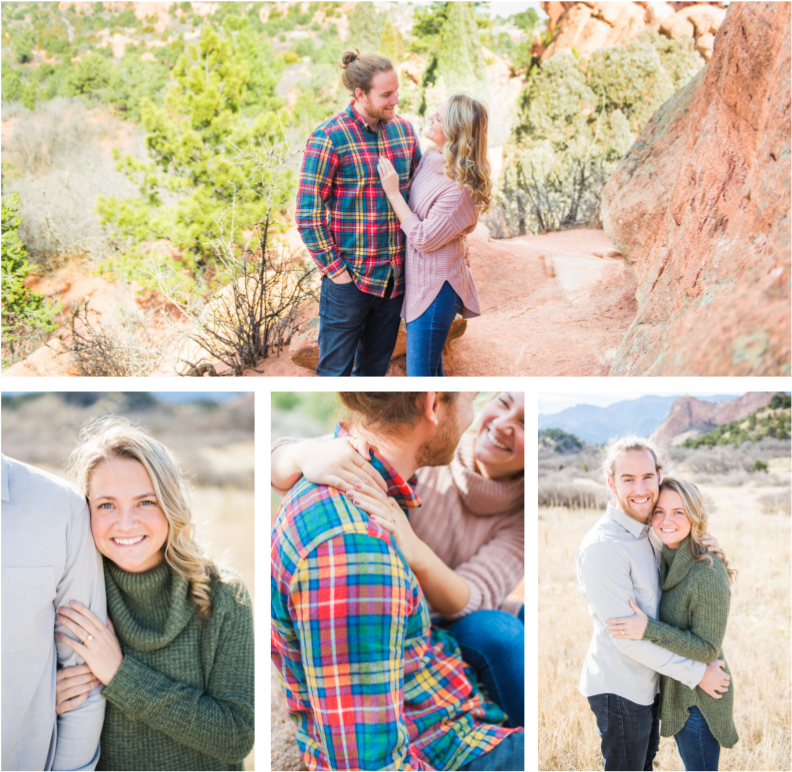 It had just snowed the day before my session with Laura and John and made for the perfect backdrop for their images, contrasted with the red rocks, and not to mention, their adorable dog, Theo. Bring your dog to your engagement session and I’ll love you forever! 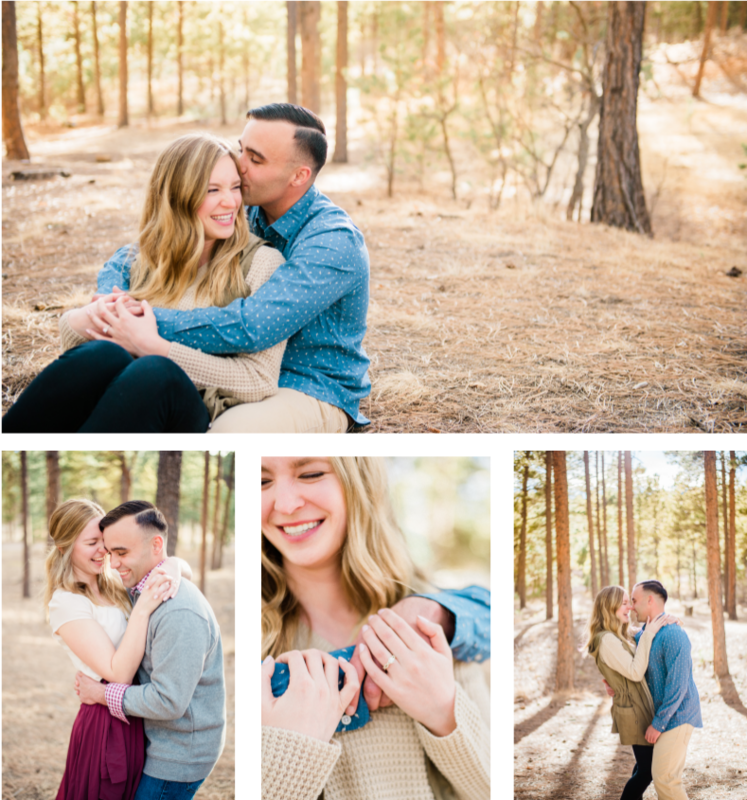 I hope you enjoy this red rock canyon open space engagement session- lots of smiles here! 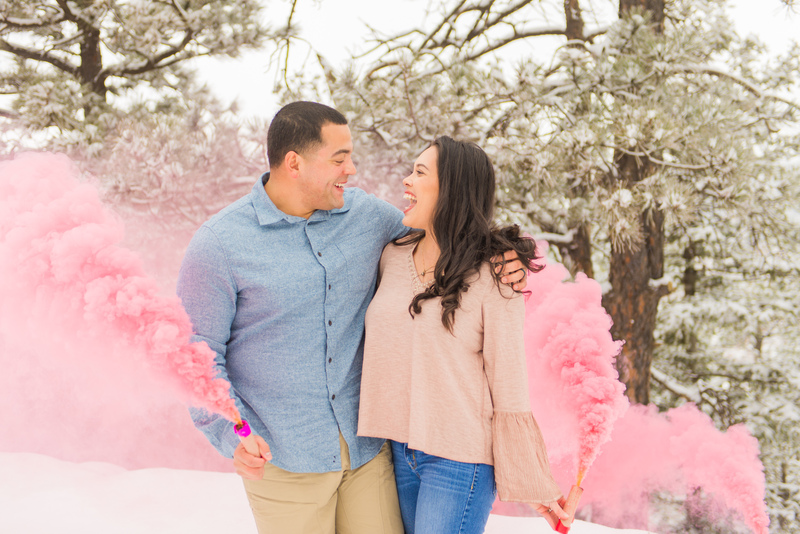 After their snowy mountain gender reveal, Kristine & Alex are so excited to welcome a new baby girl into their adorable family! What better way to reveal the baby’s gender than in the snowy mountains of Colorado Springs. The pink smoke just POPs against the bright white snow. I’m so excited for this growing family and to see all the wonderful things they do together as a family of six. God bless you two! This snowy mountain gender reveal shows the perfect fun & crazy personality of the whole Santana family. I love them!